Director Daniel Goldstein keeps the pacing of the show moving at a fine clip whether the stage is crowded with the large cast or simply populated by just two actors. When the plot moves into more somber territory he quickly follows up with a perfectly timed comedic moment. He also allows his performers leeway in embellishing their roles, which provides more distinctive and finely tuned characters. Director Daniel Goldstein whimsically stages this musical number in the locker room where the guys shower and show off their well-toned physiques as well as their singing voices. One little old lady seated up in the side balcony, with a view behind the shower wall shielding parts of the towel-less guys from the rest of us, was particularly amused, I noticed. She kept pointing and laughing. Director Daniel Goldstein also keeps things lively, if not downright vaudevillian, with colorful players and coach, crazed fans and one deviled ham. The show is directed with pin point accuracy by Daniel Goldstein. This production is so impressive that even those of us who don't follow sports will enjoy every minute of it. 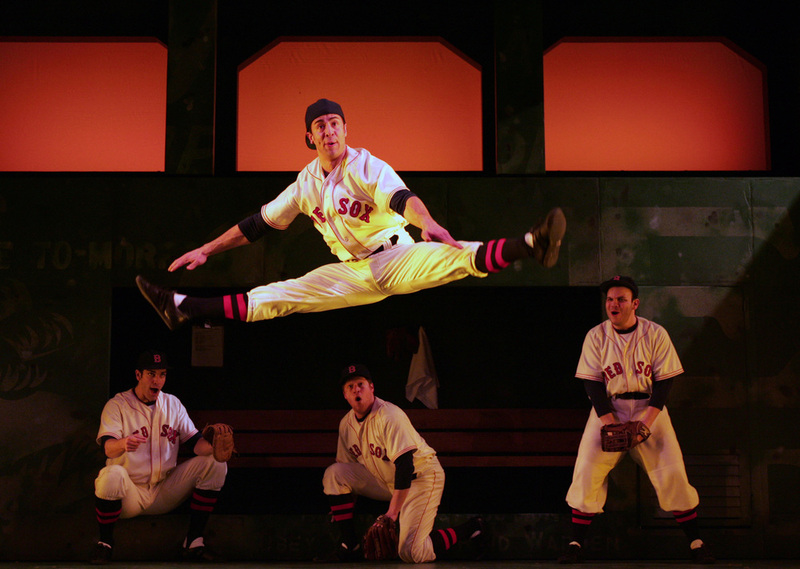 Daniel Goldstein directs Goodspeed’s Damn Yankees with an irrepressible, light touch. En otras ocasiones he comentado como el escenario tan pequeño de Goodspeed es transformado de un comedor elegante como lo hicieron en “Hello Dolly”. En esta producción, una sala en una casa de clase media baja. 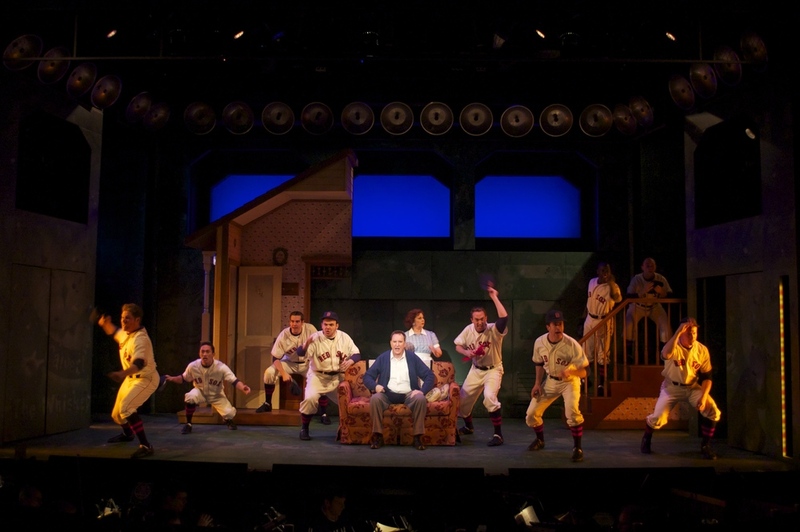 “Damn Yankees” se transforma en el cuarto de cambio de los peloteros y el lugar donde esperan entrar al juego. Gracias al enorme talento del grupo técnico en cada una de las producciones, cada escenario es igualmente verosímil. Hay que reconocer en particular, el trabajo del escenógrafo Adrian W. Jones; la coreografía de Kelli Barclay y la magnífica dirección de Daniel Goldstein, los que han logrado crear una obra teatral de primera calidad. La única crítica que tengo es, por qué el actor Sean Ewing, en el papel de Hernández, no aprendió mejor sus líneas en español.